I received an e-ARC of this book via Netgalley in exhange for an honest review. Skyward was the first Brandon Sanderson book I have ever picked and I was not disappointed. Prior to this I’ve always been put off of Sanderson’s work because they tend to be fairly lengthy books and I found that intimidating. However, as soon as I heard about Skyward I just had to read it immediately. The description that drew me in was “it’s like ‘How to train your Dragon’ but in space” which is quite frankly the most appealing sentence I’ve ever read and I have to agree, aside from, ya’ know, the lack of any actual dragons in Skyward. The first thing I noticed about this book was that it’s true what people say about Sanderson’s writing: he’s a master of world building. The creation of this planet with its layers of detritus protecting/blocking the inhabitants from space/their enemy the Krell was just incredible. The cave systems was described in-depth and the political running of the world seemed to be explained very quickly and yet within a couple of chapters I felt I knew exactly how the planet was run. There were no long boring descriptions, but somehow Sanderson got the important points across masterfully. The Krell themselves are a formidable enemy and I loved how we began knowing hardly anything about them and then slowly gathered more information as the plot built. As a lead character, Spensa is one of the strongest heroines I’ve read for a long while. She’s fierce, talented and ambitious with a huge need to prove her worthiness and step out of her father’s shadow. Most of all, she’s believable and the insights we get as readers into the insecurities and worries she indulges in privately really endeared her to me. The camaraderie of Skyward flight really sparked and flew off the page. So many different personalities in one team made every class a joy to read and I didn’t want to put the book down. All of this added together made an amazing book, however, my absolute favourite character was Spensa’s ship M-bot. I love him. His hilarious attempts at understanding humans, his inexplicable dislike for Rig and, I’m not ashamed to say, it was a part of the book involving M-bot which made me so emotional I even shed a few tears because I was so proud of him. Skyward ended in a very interesting place, with Spensa finding out some really interesting stuff regarding her father and the Krell. I will be pre-ordering the next book in the series as soon as the details are announced because I am DESPERATE to read more! I’ve never read anything by Sally Green before, but within the first chapter I knew I was going to love this book. It is a strong contender for my favourite book of 2018 and it’s definitely become one of my favourite series. I can’t wait for the next installment. 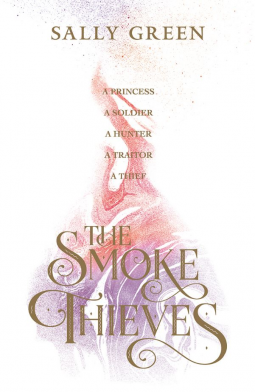 The Smoke Thieves is a high fantasy book with the chapters alternating between the points of view of each of the main characters. This style is very reminiscent of Game of Thrones but it’s much less of a slog to get through and remember who everyone is. I found myself invested in each of the characters and every time the POV switched I was excited to see how their story was going to develop or what had happened to them in the time between each chapter. This book is set across three kingdoms and each one is fantastically built and unique, jostling for power and dominance and attempting to make unions to further their own paths. My favourite character arcs were Tash and Gravell and their squabbly father-daughter type relationship as they illegally hunt demons for their smoke, and Princess Catherine. Catherine’s arc was probably the one which had the most development, and the most potiential for further development in the coming books. She starts the book as a child being effectively traded by her father for the good of the kingdom and she ends up becoming a leader. I liked the romance between her and Ambrose but personally I’m rooting for her to end up with the Prince. I think it’s worth warning you not to get too attached to the characters in this series as at least once in this book my heart was broken and with the war in full swing I foresee this only getting worse. I can’t wait for the next book in the series but in the meantime I’ve been to the library to get my hands on some more Sally Green books! 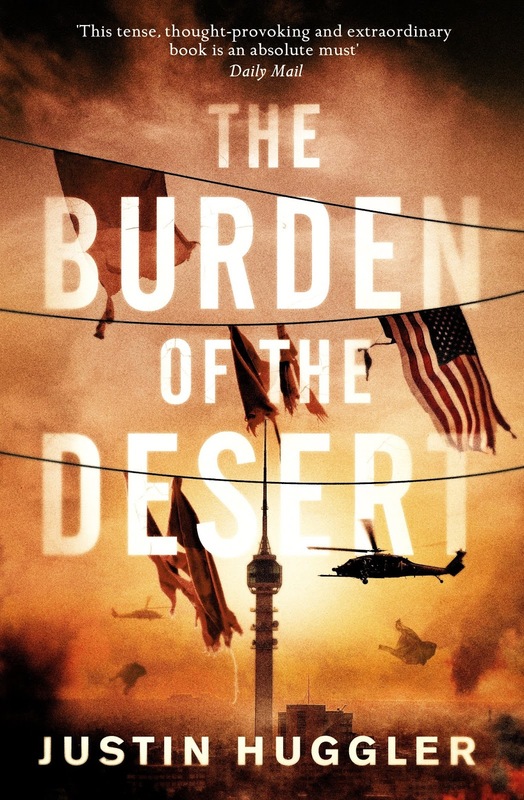 Written by a correspondent of the Iraq war, Burden of the Desert is overflowing with detail which makes the novel wholly believable and that much more thrilling. Rookie journalist Zoe Temple is determined to become a war correspondent, and when her paper offers her the chance of a brief posting in Baghdad she jumps at the chance. It’s 2003 and the Iraq war has officially been declared over by the American’s, so she is hopeful it will be a gentle introduction to the dangerous life of a correspondent…However, emotions are still running high in Baghdad, with the Iraqi’s feeling very distrustful of the American soldiers and with a small faction of American soldiers behaving monstrously. Alongside Zoe’s experience are intertwined the stories of Lieutenant Rick Benes and Adel, Mahmoud and Nouri; three Iraqi’s with very different opinions of the occupation. The character I enjoyed reading the most in this novel was Lieutenant Benes. Benes is brave, kind and above all very human. Unlike the small group of cruel soldiers that appear in the novel, Benes feels great guilt for some of his actions in Baghdad. He’s honest with himself, and it’s refreshing to read an account of a soldier who admits to himself that the thoughts he has about the occupation are not always pretty and in the best interest of the Iraq people. What makes Bene’s a wonderful, brave character is the actions he takes in spite of his inner feelings sometimes. Adel’s plotline, an Iraqi seeking revenge for his father’s death by any means, is written very sensitively. There is a tendency for Westerner’s to write about Iraqi soldiers fighting against us very negatively, and often with a great deal of bias and sometimes spite. It’s a tricky subject to approach fairly and without upsetting anybody. I believe this is where Huggler’s experience as a correspondent launches the book from “good” to “absolutely phenomenal”. Adel’s journey to revenge is portrayed with great care- at no point does the reader feel his actions are being excused, but at the same time, he remains a very human character and the plotline acts as a real eye-opener as to why some Iraqi’s feel so strongly against the Westerners who “saved” them from oppression only to provide them with a new kind of regime. At 612 pages long, Burden of the Desert does not appear to be a quick read at first glance. On picking it up I was prepared for a very heavy-going read. However, as soon as I read the first page my opinion changed. I was gripped and looked for any excuse to pick up the book and continue reading. Transfixing, thrilling, tragic, and occasionally light-hearted, Huggler’s first novel is a masterpiece. This review first appeared on Nudge-books.com and Goodreads, 30th March 2013.